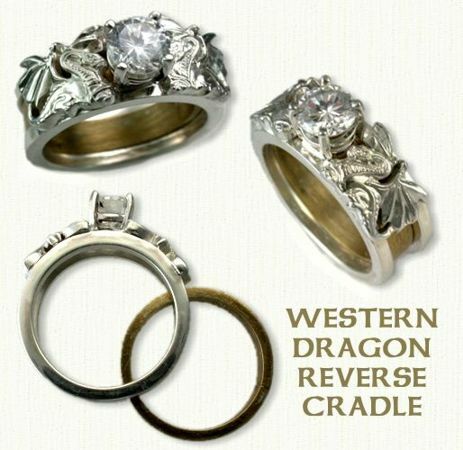 Shown: 14kt white gold Western Dragon Reverse Cradle set with a round brilliant cut diamond (7mm). 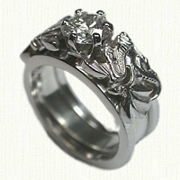 14kt white gold, 4mm inside band. 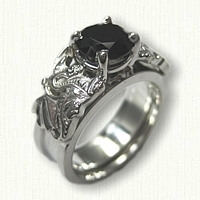 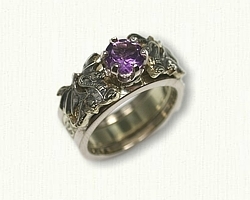 Visit our matching Dragon band pages for other ideas. 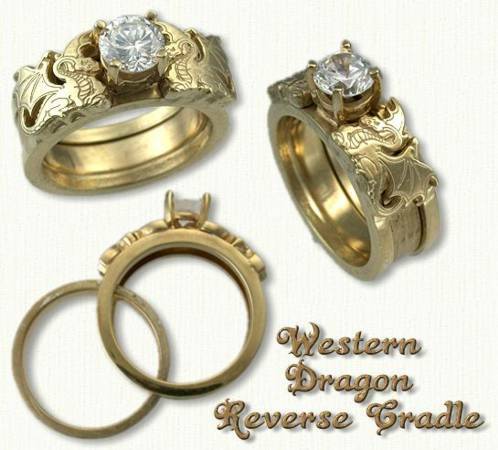 14kt Gold Western Dragon Reverse Cradles STARTS at $700 (excluding stones) and includes a free sterling silver spacer band.